Julie's artwork for the Welsh dragon line break used throughout this website and modeled on the late mother-in-law! 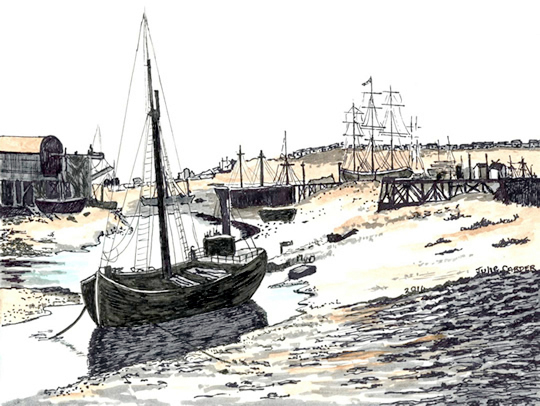 Below is the lovely drawing she did for the home page of the docks viewed from the River Ely. Thanks Juls!